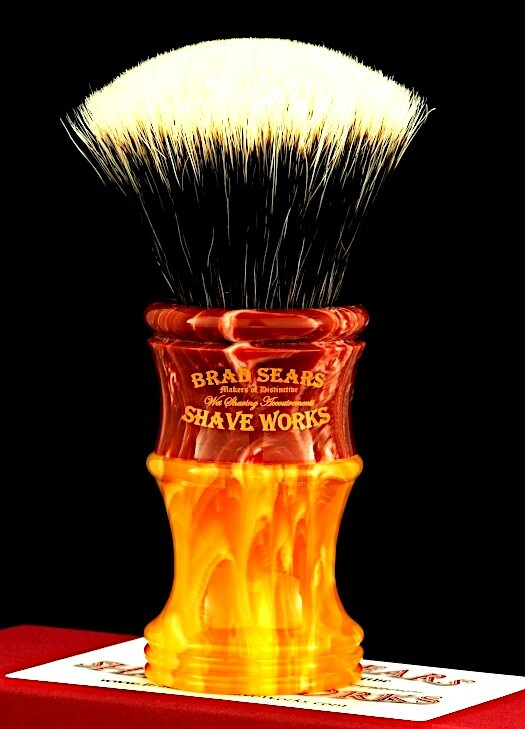 We plan a new brush drop in The ReadyMade Collection tomorrow, Friday, 12 April at 12:00Noon(ET)/9:00AM(PT). 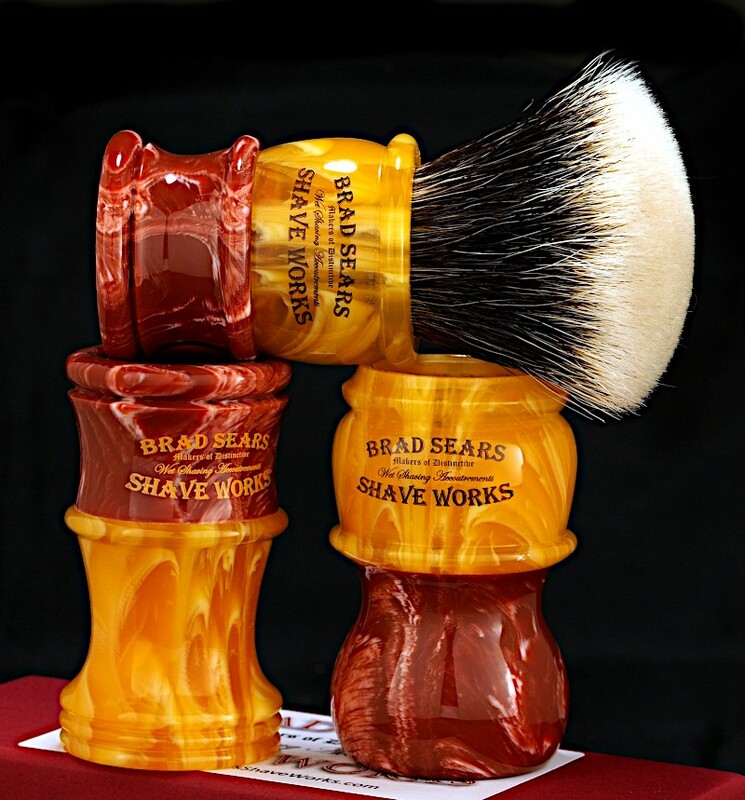 Composed of different brushes, each built around the theme of Coral & Amber, the idea of which was to challenge ourselves to see how well we could create different handle patterns using only those two resins. As it turned out, we even managed to slip in a couple new handle patterns that we've been testing. Here's a quick sample of some of what you may expect. Wow! 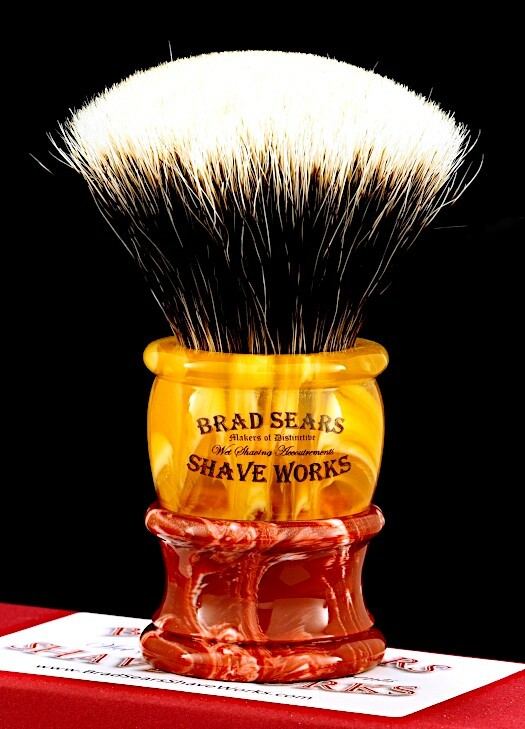 Those are stunning brushes. Really fantastic looking specimens! Kudos. Some proud owners will be very happy! very nice indeed. GLWTS! those brushes won't be gathering dust, not in your stockroom nor in a den. 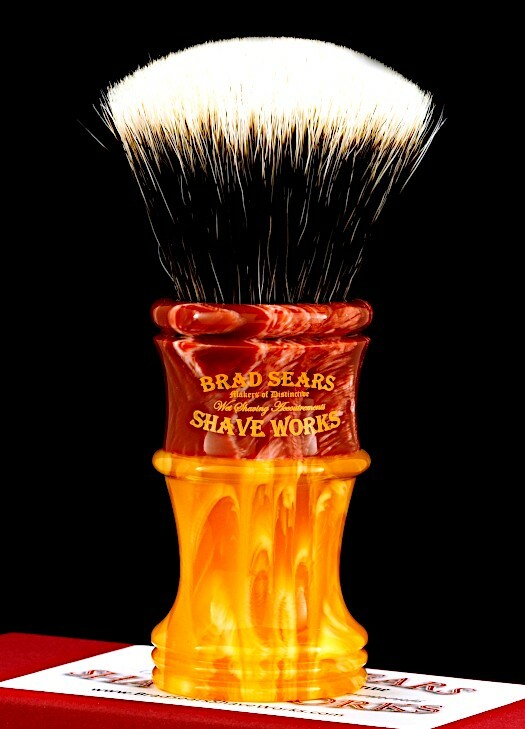 The Coral & Amber brush drop is live in The ReadyMade Collection! Below are just SOME of the brushes available. Now...If the brush you want happens to be "sold out," Never Fear! We're happy to make another one just for you in only 1 - 2 weeks! 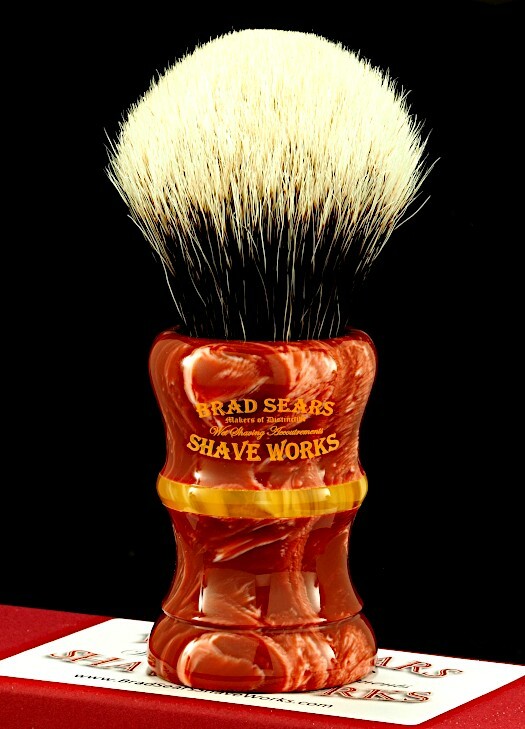 Just go to our Custom Brush page and place your order. Just listed another Advocate to replace the one sold earlier. Nancy & I are gratified by the response to this release.